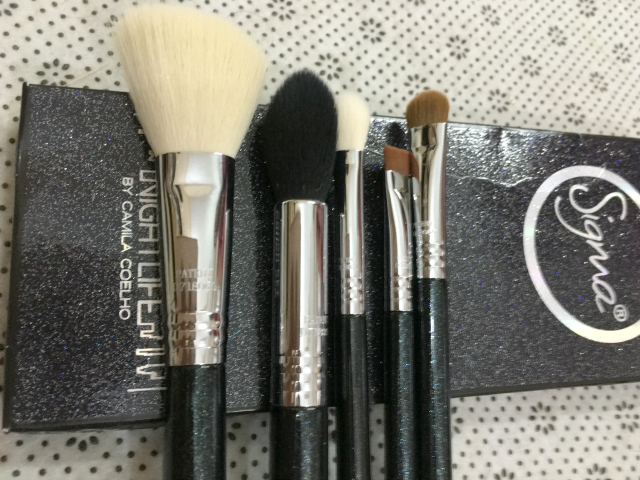 Sigma, forever has been known for their awesome quality makeup brushes... Their makeup brush set is everything any makeup fanatic can ever want. 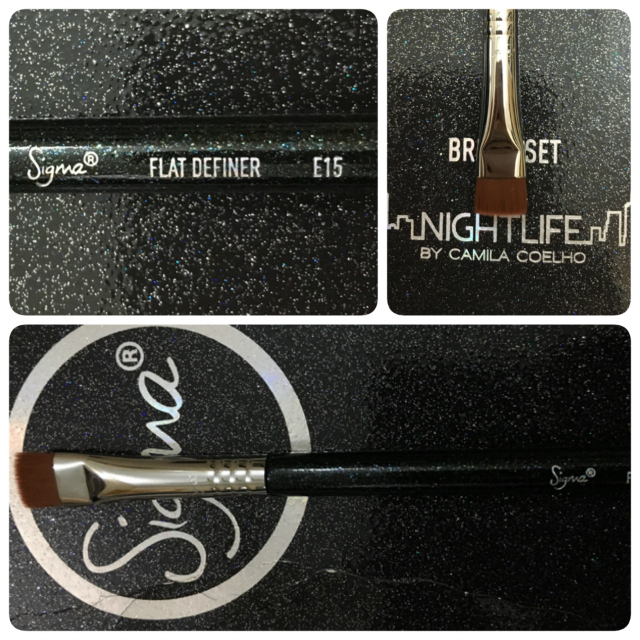 With this I was on the top of the sky when I received night life by camila coelhe brushes set. The packaging is absolutely Stunning and super chic All of the pieces come in these chic black glittery cardboard boxes with a glitter touch to them. Even the brush handles have glittery touch to them . Each of the brushes come individually wrapped to protect the bristles. 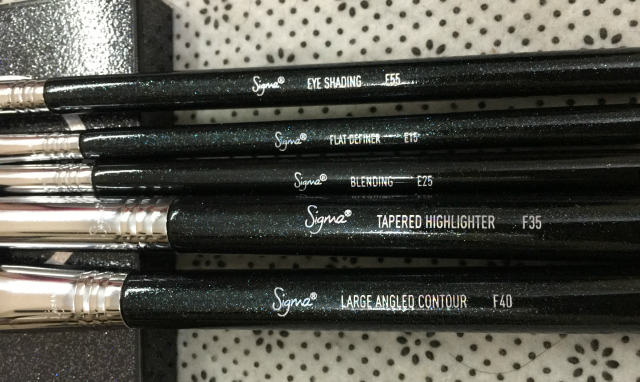 The brushes have long, lightweight, wooden, black Glittery handles with ‘Sigma’ engraved with holographic writing along with the name of the brush. The handle of the brushes are scratch resistant. The brush handles differ in thickness depending on the size of the brush’s bristles.. The hairs are dense and soft. 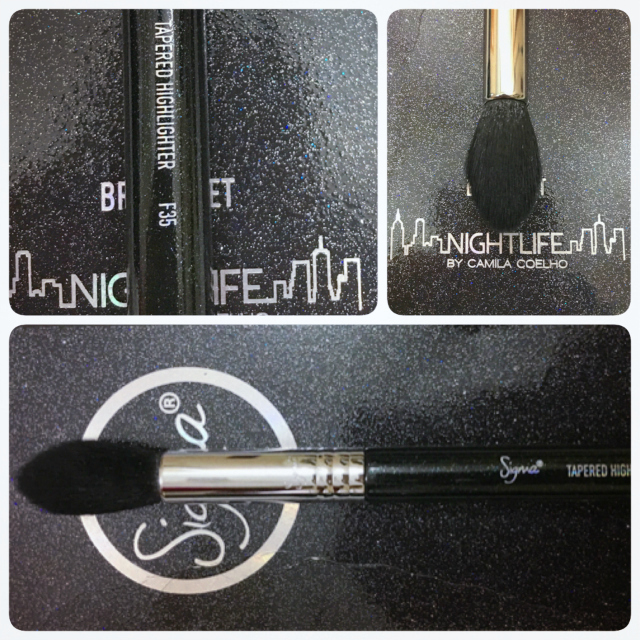 I am using Sigma brushes for a while now and have never experienced any shedding problem even after a few washes. The E15 Flat Definer Brush features a thin, flat edge best for applying powder, cream or gel products to the eye area. The flat brush creates a sharp, precise line great for brushing along the lower lash line with eye shadow as a liner. Press product along upper and lower lash lines to create an easy thin liner. Works with gel, liquid or powder products. The E25 Blending Brush features a slightly firm and rounded brush head for universal blending of products. Works well to soften intense lines and edges and great for combining colors on the lid. Blend colors together onto the lid with added control. Buff out harsh lines for a well-blended effect. The E55 Eye Shading Brush features a soft and dense squared brush head with slightly rounded edges. This eye shadow brush works best for an all-over application of color to the lid with lighter shades for a base. Place color across the entire lid for an even and strong application of product. The F40 Large Contour Brush features a fluffy angled brush head with soft, round edges. 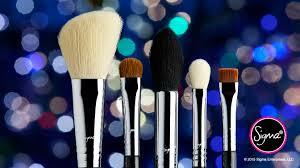 Use this brush with powder products such as blush or bronzer on the cheekbones for the perfect diffused contour. Apply blush or bronzer to cheekbones. 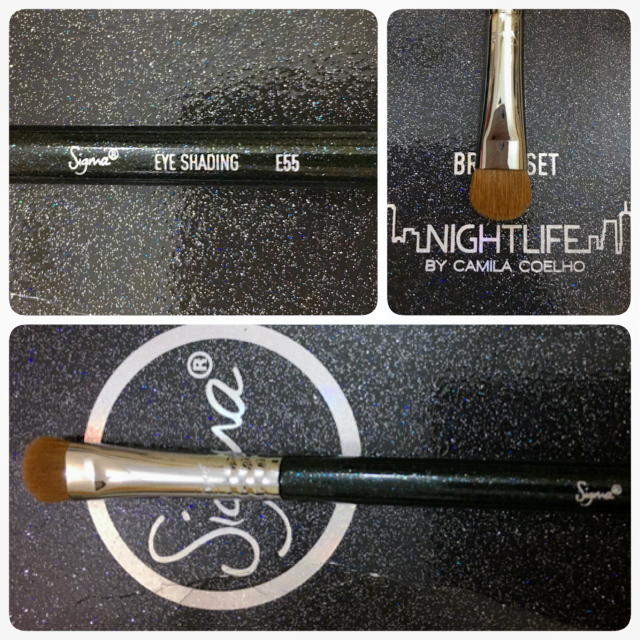 Sigma Nightlife Brush Set by Camila Coelho Collection is available online at Sigma Beauty Website for $88.00. 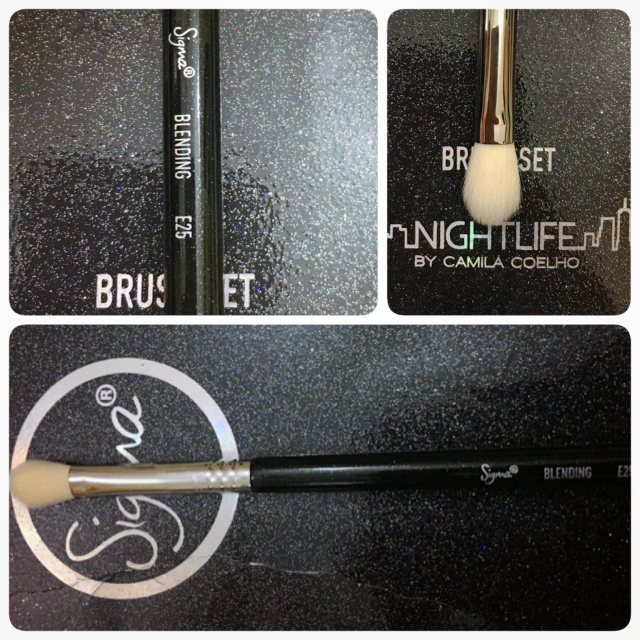 You can check complete variety of Sigma Nightlife by Camila Coelho. 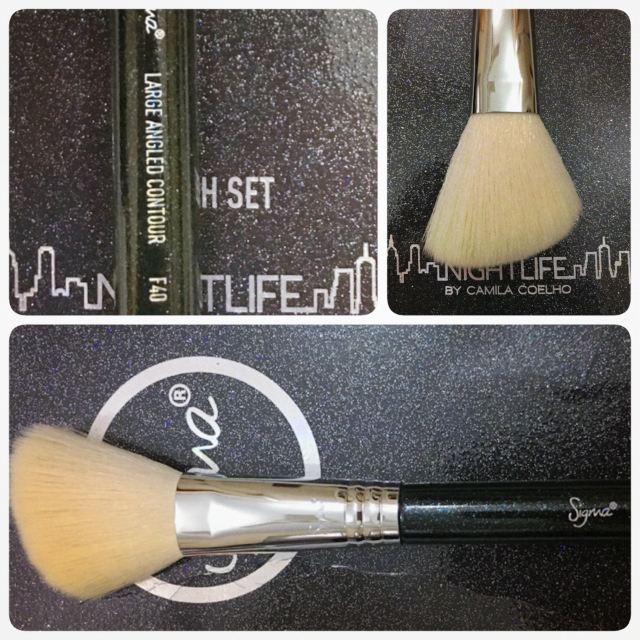 In Pakistan, Sigma Beauty brushes are available at Facebook page The Haute Shop - Beauty, Fashion and Accessories They are the authorized retailer of Sigma Beauty in Pakistan. What posh looking brushes! They make a great looking set! Thanks for the discount code! I am enjoying reading posts like these because for all I do not wear make up granddaughter is into it and it is another avenue for presents for her now she is getting older. This collection of brushes look gorgeous and they are really shaped well for the tasks. The brush set looks very slick and posh. I really like the fact the handle of the brushes are scratch resistant. Thank you for the discount code - it gives me a reason to shop without guilt.